Hi and welcome to my review of 5 Minute Profit Sites, this is a new system that claims you can make over $500 a day through affiliate marketing by leveraging their exclusive software that creates profit making websites in 5 minutes!! A huge claim, but does it stand up to closer inspection? That is what you will find out in today’s review. I know I shouldn’t be, but I am always surprised by the amount of get rich quick schemes that are on the Clickbank marketplace (5-minute profit sites is a Clickbank product). Unfortunately, Clickbank does seem to have a bad reputation when it comes to products in the internet marketing niche. That is why I hardly promote any products from Clickbank that are in the MMO niche. There are products in the make money online niche that make ridiculous claims and 5 Minute Profit Sites us up there as one of the most ridiculous. Sadly, I have seen products that make even more absurd claims like making money in 60 seconds!! No, I am not making this up and maybe one day I’ll review that system but today I want to review 5 Minute Profit Sites and see what it has to offer. 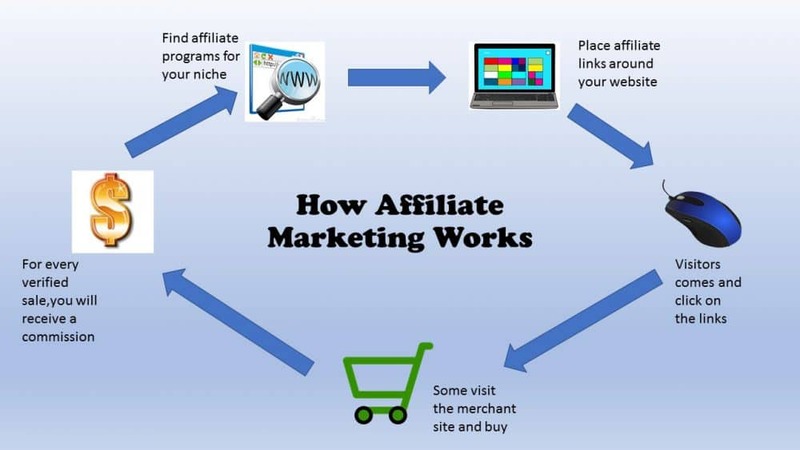 Since the sales page of FMPS claims that you will be making money through affiliate marketing with the system, I would like to briefly explain what exactly affiliate marketing is and how it works. Affiliate marketing is basically promoting/selling other people’s products or services. Every time someone purchases from your affiliate link, you will earn a commission. The image below gives you a visual representation of how affiliate marketing works. Affiliate marketing is a legitimate way to make money online and one of my preferred online business models. It is the model I use to monetise the websites I currently run. However, due to the unregulated nature of the internet, there are many people who sell get rich quick schemes and even run scams under the guise of affiliate marketing. Now, the good thing is, this product is not a scam, however, it is also a program that I would not recommend, keep reading this review to find out why. So, what exactly is 5 Minute Profit Sites offering? According to their sales page, they have a secret software that exploits a multimillion-dollar loophole which allows them to earn over $500 in affiliate commissions!! I have to admit, this is the type of product that I would have jumped on if I was a newbie and looking for a shortcut to affiliate marketing success. Back then I had no idea about the skills you will need to learn to start a real online business. Skills like SEO, Content Marketing, Social Media Marketing, developing websites etc, don’t worry these are not hard to learn but you will need some of them to succeed in affiliate marketing. There is no way you will be earning a full-time income from systems like 5 Minute Profit sites. Now, when I see headlines like those in the image above, it raises a lot of red flags for me, as I know that making money online through affiliate marketing is not so simple. The main sales page is a video presentation, but it takes way too long for it to tell reveal what the secret software is and what it does. Luckily, they give you an option to read a transcription of the video which is what I chose. The sales page is full of fluff and has false scarcity tactics to persuade people into taking up the offer. There are also a lot of income proofs and they do look legitimate, however, as this is the internet and not everything is as it seems, I wouldn’t really place a lot of trust in these proofs. Another disappointing aspect I found was the fact that they advertise the software as being free (honestly who would give away a software that spits out $500 on a daily basis for free?) but say they require a small payment of $37 for the server costs. Personally, knowing what I know about the importance of having good servers, paying a one-time fee for server costs is another red flag. However, you can get a free 7-day trial for the software after which you will be charged $7 a month should you wish to continue. You only get this offer if you try and exit the page, so I took them up on the free trial and see for myself what this amazing secret software is, I was in for a big disappointment. So, now on to the big reveal, what is this amazing piece of software that only needs 17 clicks to set up your system and spits out over $500 daily once it is ready, ready for it? It’s a simple website builder, that is the controversial software!! That’s not even the biggest disappointment!! It’s not even a proper website builder because you actually have no control over how it looks or even its domain name. It’s a site that they give out to everyone who is unfortunate enough to fall for their deceptive marketing tactics. Yes, it only requires a few clicks to set up (17 clicks according to them) but it provides nothing of value other being a glorified landing page and its only purpose is so that you can promote other Clickbank products in the internet marketing niche. One of these products is called AZ code and looks very similar to 5 minutes Profit Sites, maybe it’s from the same vendor. It sure does make similar ridiculous claims, this time about banking big affiliate commissions from Amazon. The member’s area does look decent, it has a clean design and is easy to navigate, there is a short video guide that tells you how to set up your so called website. So, as you go through the set-up process, you will be required to choose a pre-determined domain name and sign up for an AWeber account. AWeber is an autoresponder service and a very good one but you are never made aware that you will need to sign up for this service for the ‘secret’ software to work. You will also be asked to link your Clickbank account to the website you have been given, this is because the website will only be promoting Clickbank offers!! Along with this ‘done for you website’ you will also receive a bonus eBook and some traffic training strategies. The eBook is useless, well useless to me, maybe others will find it useful, it’s all about mindset, getting things done and not procrastinating, which is generally good advice and may be the only good thing they offer. The traffic training module has 6 videos and they are about solo ads and how to go about purchasing them. Solo ads are a good traffic source, but it can get expensive if have never used them before and there are a lot of scammers selling rubbish solo ad services. It does point you to a decent solo ad service called Udimi, I wish they had mentioned a few more as Udimi seems to be full of the same solo ad sellers whose email lists are no longer responsive. One last thing, everyone seems to get the same ‘success coach’, in the demo video, I saw the same success coach that is assigned to me. I know its fake but they could have at least programmed the site so that everyone gets a different stock image and made look a little more real. In my review of JVZOO, which is a very similar affiliate network to Clickbank, I advised people to stay away from products in the make money online niche because the majority of products in that niche are overhyped and rubbish. The same is true for Clickbank, in fact, I actually believe that Clickbank products in this niche are much worse. There seems to be no quality control process in place and if there is, it doesn’t seem to be doing its job. I find it baffling how a product like 5 Minute Profit Sites can actually get approved, Clickbank is one of the biggest online digital retailers but they do their reputation a lot of harm by approving sub-par products. As is the custom with all Clickbank products, there are a few upsells to this product. Upsell 1-3 are a set of done for you websites in different niches, I don’t understand the difference between 2&3 as they clearly seem to be the same product with different price points. Upsell 4 is an eBook on different traffic strategies. Will you be making over $500 a day with these websites? Nope, I would never recommend anyone purchases this product. Try out the free trial if you really curious but the hype in the sales page is ridiculous, no one is going to be earning a six-figure salary with these sites, especially not newbies, who are the target audience for these types of products. Affiliate marketing is a legitimate way to start an online business, It is the business model I use to monetise my sites but products like FMPS give it a bad name. If you want to learn how to start a proper affiliate marketing business without all the hype click on the button below and check out the system that has helped me build and monetise my two websites. It seems really strange to me that this product will make you a profit from quick websites that probably won’t even rank in the first place – doesn’t every member there end up with the same website layout etc? On top of this you seem to be stuck selling the exact same ‘work online’ products – would I be right in thinking this? One final question – are there ANY legit programs that can get you a website set up in a matter of minutes (or 17 clicks!)? You are right, these sites will never rank and everyone gets the same, so the only people making any sort of good money are the people selling this so called awesome software. nothing is that easy. I have built several websites and crickets can be heard. Now this one says earn in 5 minutes , that is very shady. If it is that easy in 5 minutes then everyone in the world should be doing it already. Don’t know how people sell this sort of rubbish. Thanks for your comment, you are right , if it was so easy, no one would fail with this system and they would have a ton of success stories. Very thorough review. I like to share this kind of reviews because I want people to know that there are many traps on the Internet. I did not personally have experience with this program but I know a friend who does and it is really a big scam. I not even recommend that trial period. Wasting of time. Another one of those get rich quick program. These are everywhere and we as market players need to review these and help newbies to make right decision. I was once a newbies and obviously was very excited to see one of these systems because I didn’t really know the right way to make money online. Program like these just doesn’t worth the money. Thanks for the review! And I look forward to seeing your recommendation on how to make money online. Hi there Minhaj, i’m so glad you did this review because it appears quite high in the gravity listings at Clickbank, which suggests it sells better than most, but it seems the get-rich-click crowd are taken in by the speil. 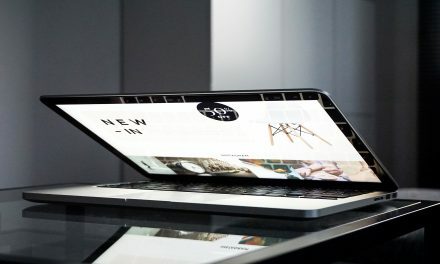 It attracts attention and like you say, newbies are attracted by that type of thing, but we seasoned affiliate marketers have good BS detectors, and this pongs a bit. This one actually makes my blood boil, not because it’s blatantly dishonest, but because it makes it harder for the whole affiliate business more difficult to retain it’s credibility. It’s hard when you are an honest, ethical marketer and someone is peddling this rubbish. Yeah, many of these dodgy products have really high gravity which tells you there are a lot of unethical affiliates just promoting it without fully investigating if it will help their customers. There are only a few products in the MMO niche that are worth promoting on Clickbank, the rest are just junk. This is a very detailed review; appears to be another one of those deceptive internet marketers, preying on the ignorance of people new to the field of online business. It is always good to check things out before getting involved with a new company, especially in the online world because it is too easy to pretend to be something else. Time is the key to discovering if the company is legit; it is prudent of people to be willing to spend time researching the company and seeing if their claims are real or just over exaggerated empty promises that will leave you disappointed. I am glad you mentioned how Clickbank can somehow keep a fairly good reputation, when there are so many unscrupulous products coming from them. That may be a subject for a future post, but it has crossed my mind a time or two. Have thought about using them before but would not want to be associated with them because of that. Totally agree with you, people should do their own research before buying into any program, it will save them a lot of money in the long run.